Have you joined our Summer Fun party! It's going on all summer long. Anything summer-ish that you have made in the kitchen, with your kids, outside, where ever! We want to see your SASSY SUMMER IDEAS!! I never got a chance to THANK everyone for voting for my backyard makeover that was entered into the American Crafters Competition. We placed 3rd, but I am LOVING my new backyard summer escape. So, to you, I say THANK YOU!! Congrats Amanda! 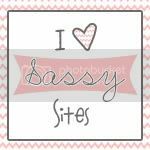 Your button will placed at the top of Sassy Sites all week AND you will be the Sunday Spotlight this week! I can't wait to get to know more about you! Link up as many times as you would like. 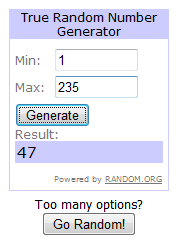 The more, the better because I will pick random posts throughout the week from our ffa party to feature! Also, you could be picked as the next Sassy Top Spot! WOW! Thanks so much! I really lucked out this week! Already following on GFC as Mrs. Marine! Thanks for hosting the Linky! Don’t forget to stop by my blog and participate in "Stalk Hop Friday"! With 6 ways to Link-Up! Hi! Just found your awesome blog and am now following. 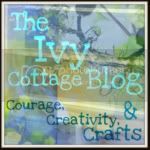 I have a new linky on fridays and would LOVE if you would link up any creative posts and would super love if you would add it to your linky party list. THANK YOU!!! Thanks ladies so much for hosting. I'm so in love with necklace you got to make at the girls camp. I would love to come to one of those. Sorry! I had to post mine twice because something went hay-wire when I was cropping the photo and then nothing showed up for the link. ;) Sorry!